Superstar singer Usher Raymond has been in the limelight since he was a kid, but his fourth solo album took him to new heights where he would etch his name into music history. Confessions, released in the spring of 2004, is the second best selling album of the 2000s along with officially going diamond – selling over 10 million records – in 2012. Usher had success creating a narrative through his music with the three arch song – U Remind Me, U Don’t Have to Call, & U Got It Bad- off his previous 8701 album but he recommitted to telling the chronicles of his life on Confessions. Confessions gave a nod to old school R &B where you told stories through your music and you left it all on the track. Usher implementing his A-Town style keeps it contemporary. The first single off the album was the club banger Yeah featuring Usher’s ATL compatriots Lil’ John and Ludacris which still plays well to this day. The title track Confessions begged the question, who was this woman that Usher wronged? It added intrigue to an album that was already shaping up to be great. 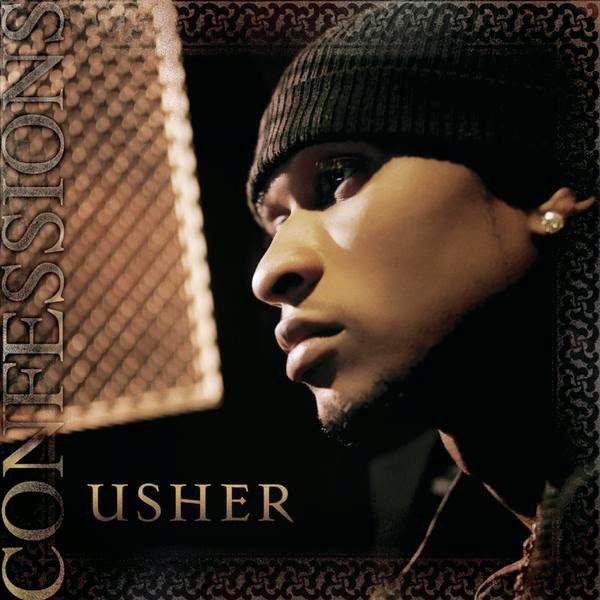 Still a teenager when I initially heard the album I did not fully understand the scope of Usher’s Confessions. I knew I loved the sounds and the songs, but it’s only until I revisited the album year after year that I grew to appreciate it. Certain songs can only be cherished once you’ve experienced some of themes Usher touched on. The infidelity, guilt, shame, and exuberance expressed in those tracks are felt doubly if you’ve went through it. The timeless quality of the production is thanks to music impresarios Jimmy Jam & Terry Lewis and most notably Jermaine Dupri. You could say Jermaine and Usher have a Quincy Jones and Michael Jackson type of synergy when it comes to making music. Both in sync with the message they want to convey also, this is much harder to do, the feeling the music invokes when you play it. Sonically it was cohesive where the up-tempo instrumentals would come in at the right time while the slower tempo songs had you singing along even though you couldn’t quite hit the same notes as Usher did. The ups and downs of Usher’s love life were on display and through his confessions he gave us a classic album we can play for years to come.